Dundee airport is the closest 40 minutes away. More regular flights come in to Aberdeen (1 hour away) Edinburgh (1 ½ hours) or Glasgow (2 hours). We have a wonderful taxi service in Brechin that will meet flights if you do not have your own transport. Montrose is on the main London to Aberdeen line and the station is just 6 miles from the door. You can easily connect to all the major Scottish cities and there is also the sleeper service direct from London. 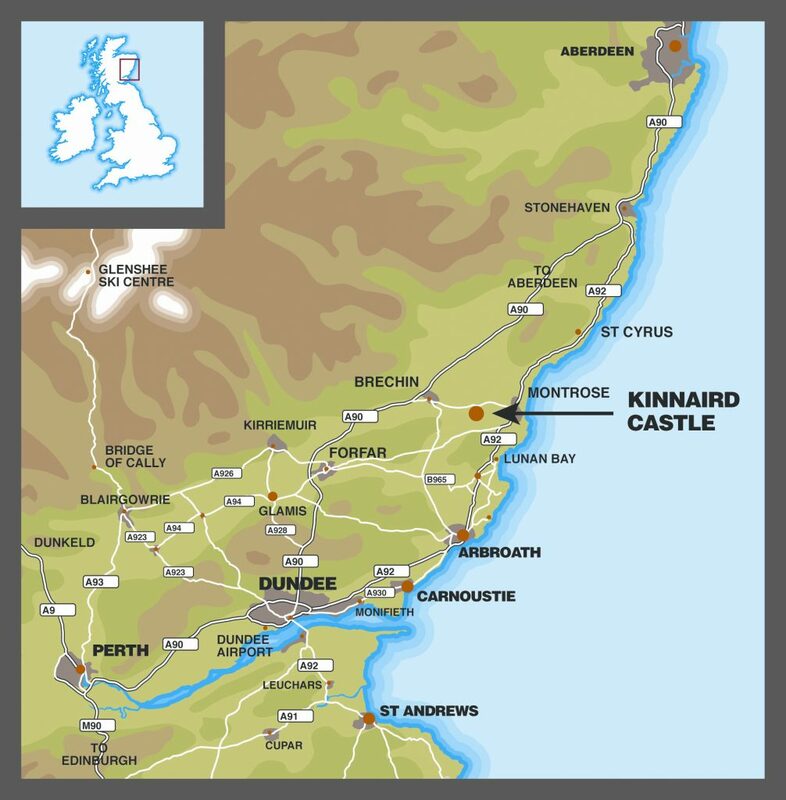 Just one mile in from the Montrose Basin, Kinnaird Castle is easily reached by car and just three miles from the main A90. It stands within its own park and grounds and some of the gates locked. Before you arrive we will send a welcome pack with instructions including all the codes for the gates.